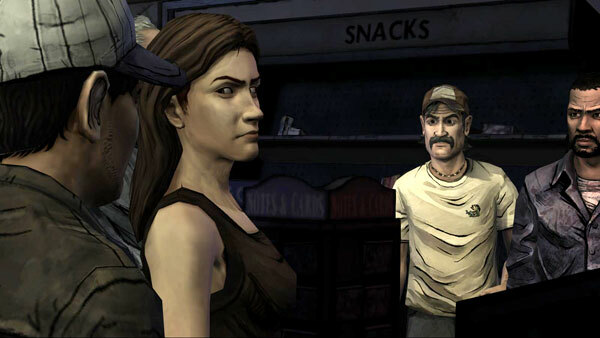 Oh man, have you all been playing The Walking Dead from Telltale Games? I have, and with every installment of this episodic game I’m newly impressed by how hard it yanks on my emotions. Like the comic that spawned it, the game is unapologetically bleak. Its appeal largely comes from watching characters getting crammed into really bad situations from which some of them just won’t emerge –unless they do so groaning and hungering for brains. Like many horror stories it’s appealing the way a roller coaster is appealing. The characters are full of despair, heartbreak, anxiety, regret, and desperation. Stop. Freeze your face. 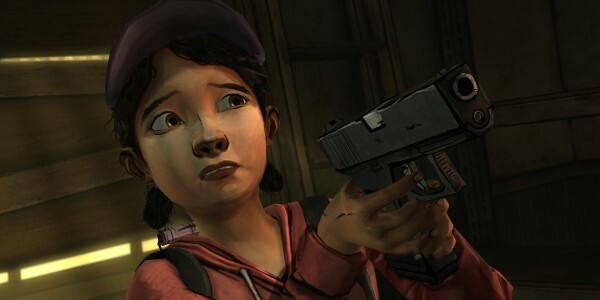 Did you catch yourself imitating Clem’s expression here, even a little? And the amazing thing is that the game gets me to feel all those emotions too. I’m glad that it comes in monthly installments, because I need the time between episodes to recover. But why is that? 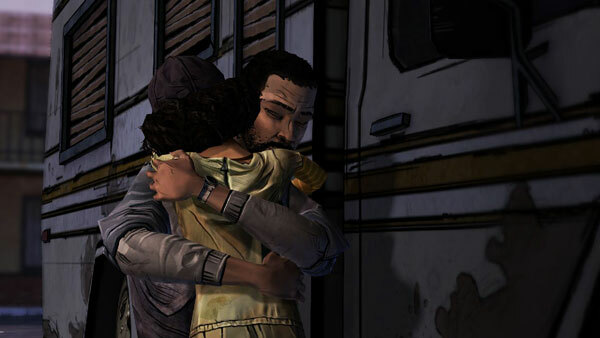 By what psychological, neurological, and biological mechanisms do video games like The Walking Dead get us to not only empathize with characters onscreen, but also share their emotions? For the answer let us start, as we so often do, with tiny Italian monkeys. Suddenly the researcher noticed that according to the equipment hooked up to the monkey’s brain, neurons were firing that were associated with grasping motions, even though the animal had only SEEN something being grasped. This was odd, because normally brain cells are very specialized and nobody knew of any neurons that would activate both when performing an action or when seeing someone else perform the same action. Yet here the monkey was, blithely firing neurons previously only associated with performing motor actions while just sitting still and watching. Curious about exactly how this phenomenon works, Iacoboni and his colleagues conducted a study (Carr, Iacoboni, & Dubeau, 2003) where they used very expensive equipment to monitor the brain activity of subjects who watched images of faces expressing different emotions. As expected, mirror neuron areas activated when people saw the expressions, and so did the limbic system, a portion of the brain known to be related to emotions. In short, upon seeing facial expressions, mirror neurons fired as if the subjects were making those expressions themselves, then triggered activity in the brain’s emotional centers so that subjects could actually feel the emotion being imitated. Iacoboni notes that this process “puts us immediately in ‘somebody else’s shoes,’ in an effortless, almost automatic way. This is why we get so immersed in the movies we watch and the novels we read.” When we see Lee Everett or any of the other Walking Dead characters grimace in disgust, our mirror neurons for grimacing activate as if we were making that expression ourselves. And because of that inner imitation, we actually DO feel the emotion to some degree and thus understand what the other is feeling. But it’s not just seeing an expression and imagining ourselves mirroring it. In the 2004 study cited above, Iacoboni and his colleagues also had some subjects physically imitate the expressions they were seeing and the cascade of mental activity increased. This suggests that actively imitating expressions helps us better empathize and understand, and it’s part of a fairly established line of research called the “facial feedback hypothesis.” For example, in one 2005 study researcher Paula Niedenthal had two groups of subjects look at the facial expressions of other people One group, however, was made to hold a pencil between their teeth, which severely limited their ability to mimic the expressions they saw. The result was that those clenching the pencils in their mouths were less able to detect emotional changes in the faces they observed because the lack of mimicry short circuited their brain’s ability to replicate facial expressions, feel the emotions themselves, and then recognize it in others. So, I suppose the moral of all this is that if you really want to get the full effect from The Walking Dead, don’t cover your eyes and peek between your fingers in a way that inhibits your ability to mimic the expressions you see on screen. Your mirror neurons don’t appreciate that when they’re trying to get your to replicate expressions of crippling, existential doom. Did you find this kind of thing interesting? Really? You might want to follow me on Twitter, RSS, or Facebook to see more. Carr, L., Iacoboni, M., & Debeau, M. et al. (2003). Neural mechanisms of empathy in humans: A relay from neural systems for imitation to limbic areas. Proceedings of the National Academy of Sciences USA, 100, 5497-5502. Iacoboni, M. (2008). Mirroring people: The new science of how we connect with others. New York: Farrar, Straus and Giroux. Niedenthal, P., Barsalou, L., & Winkelman, P. et al. (2005). Embodiment in attitudes, social perception, and emotion. Personality and Social Psychology Reviews, 9, 184-211. Really interesting post Jamie. I did a bunch of highlighting (using Diigo) and will share with friends and on my newsletter. I’m a big fan of the Walking Dead, but this is a unique perspective on why the show is so emotionally compelling. I haven’t played the game yet, but now you’ve got me intrigued. I’ll look it up online. Is this an online game? Cool, glad you liked it. 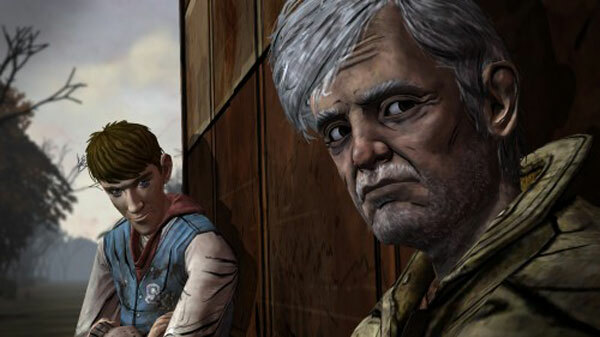 The Walking Dead is, at the moment, download only (on essentially every platform). There’s also a boxed set on disk coming out sometime in December. Pingback: Gynomite’s Reading Room! « Gynomite! Nice article Jamie, it’s the first time I’ve come across your site. Perhaps this can be seen as an explanation for why third person games can be more impactful (see Resident Evil and Heavy Rain), since they allow you to see body or face of your protagonist and therefore heightens empathy. Great article thanks! As one of the many players who was incredibly moved by the game this is something I was not conscious of doing at the time, but looking back now it is completely right. I also think that in addition to mimicking the facial expressions as a mirror of the characters, we also then go on to make our own “first-hand” expressions which reinforce the mimicked ones. For example, first you see the fear on Lee’s face as he is attacked by a zombie, then the camera changes to a first person view which creates a shift in the fear from avatar to player. I believe this greately helps in connecting the character/player emotions. Agreed! Or one that took your facial expressions into account as part of your interactions with NPCs. The technology is at least partially out there, isn’t it? I think I read something about player/avatar facial animation mimicking via webcam in Everquest 2, but I can’t find the link.